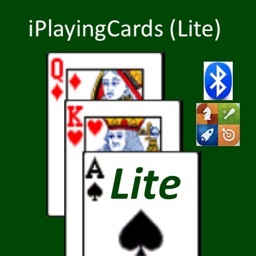 iPlayingCards (Lite) Version 3.2 – A 'virtual' deck of cards for the iPhone, iPad, and iPod touch. 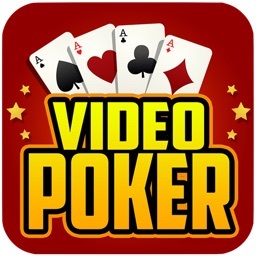 (NOTE: Use this App to play card games with other people - just like a 'real' deck; but it is NOT a 'game-playing' program.) Play cards on one or multiple devices (using Game Center, Local WiFi or Bluetooth - Bluetooth works on airplanes). Cards move with the touch of a finger. When playing with a shared device, use four hidden hands – a hand become visible only when the device is tilted on its side facing that direction. 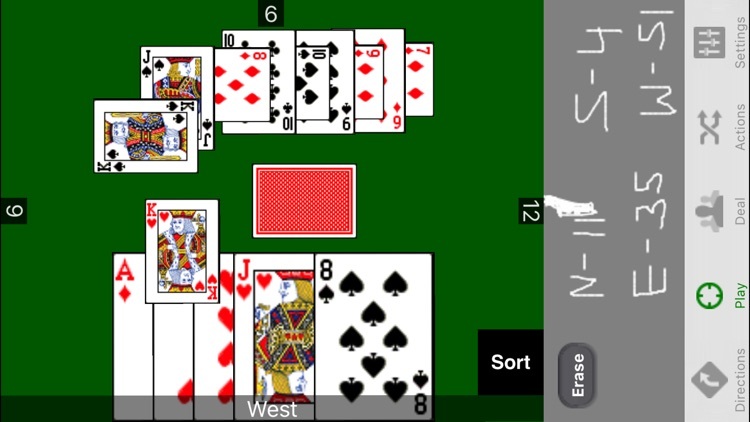 When playing with multiple devices, each device can display a different hand. 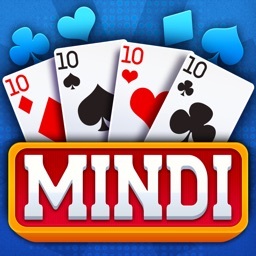 Many features – shuffling, dealing, cutting, flipping, sorting, etc.. 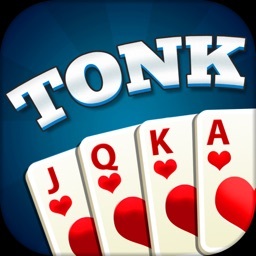 Eight classic decks for playing games such as Poker, Sixty-Six, Piquet, Belote, Jass, Durak, Scopa, Mus, Five Hundred, Pinochle, Bezique or Canasta. 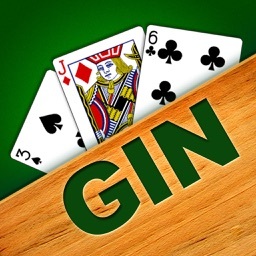 Fast set-up of 21 different games (including those and Black Jack, Bridge, Crazy Eights, Gin, Go Fish, Hearts, Oh Hell!, Rummy and War). Connect multiple iPhones, iPads or iPod touches together using Game Center (anywhere on Earth) or Local WiFi or Bluetooth (within 30 feet). 1)Crazy 8’s - tilted to face player West - West is playing a King and changing the suit to Diamonds. 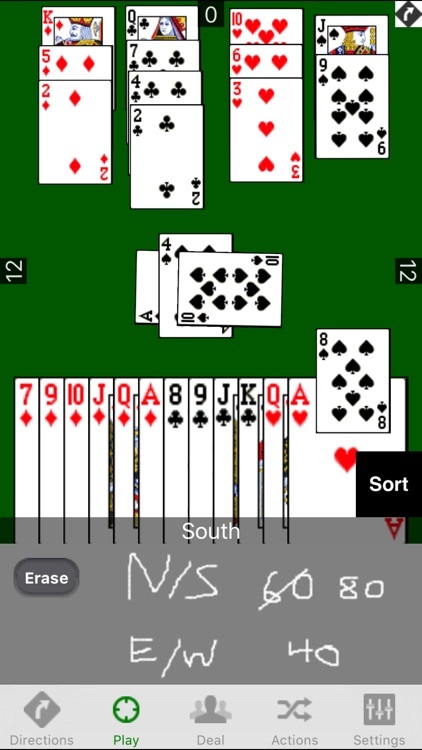 South holds 12 cards. 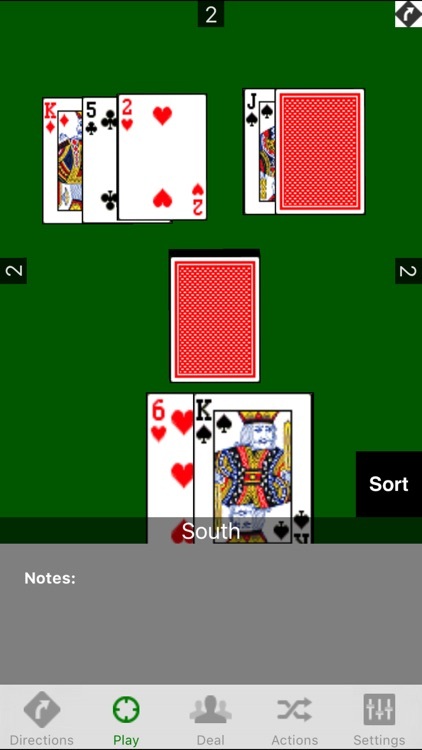 2)Bridge – South bid 5 Diamonds, West played the Ace of Spades, North is Dummy and South is now playing the 8 of Spades. 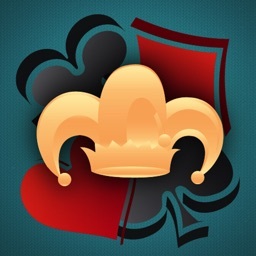 South will make 5 Diamonds if the King of Hearts finesse is on. 3)Texas hold ‘em tilted to face player South – pair of Kings awaiting the river card. 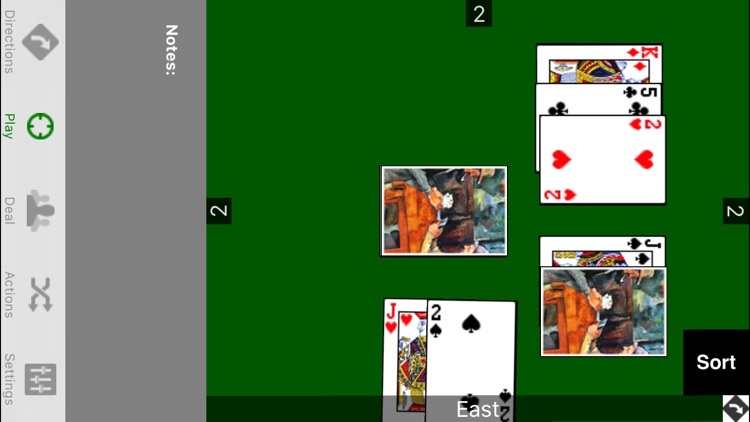 4)Same Texas hold ‘em but on second, Bluetooth-connected device tilted to face player East – two pair awaiting the river card. Card backing from second device's Photo Album. 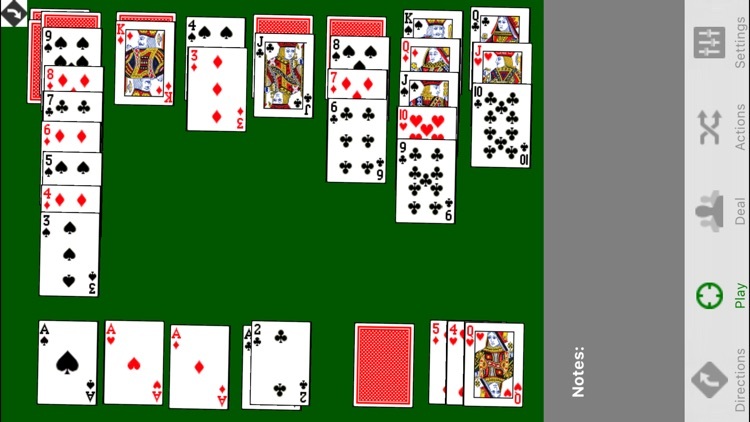 5)Klondike Solitaire – the deal function is set to three cards to an adjacent pile, face up, cascaded.